The relationship of oral disease to overall disease is certainly not a new concept. For centuries, the role of oral infection and inflammation in contributing to diseases elsewhere in the body has been studied and reported. This webinar will provide updates presented in the second edition of Periodontal Disease and Overall Health: A Clinician’s Guide. This important textbook contains the latest information and clinical studies pertaining to the oral systemic relationship and is specifically directed at understanding how periodontal disease might affect distant sites and organs, therefore having an effect on overall health. Each chapter details the latest findings on the relationship between oral and systemic diseases and the co-management of patients for optimal oral and physical health. Presented by the two editors, this webinar is an excellent way to preview the publication. A free download PDF for readers is provided. Gain an understanding of how periodontal disease increases the risk for systemic diseases. Evidence for periodontal disease being a risk for cardiovascular disease, adverse pregnancy, diabetes outcomes, respiratory diseases, rheumatoid arthritis and cancer. Patient management strategies which will dentistry and medicine work to together. 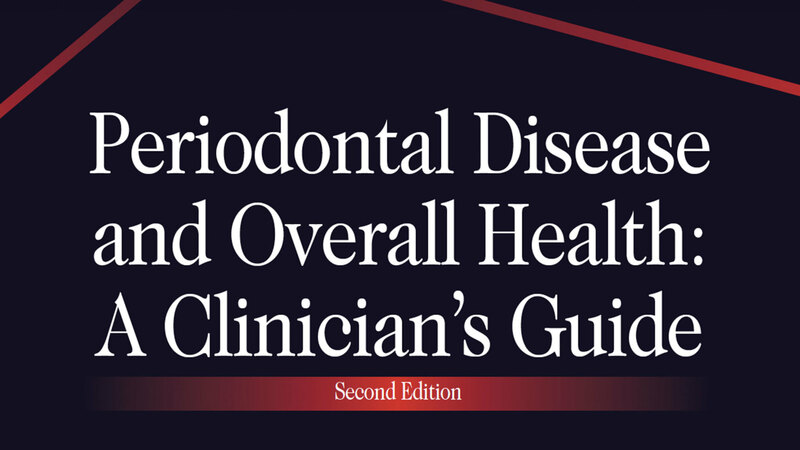 Download the 2nd edition of Periodontal Disease and Overall Health: A Clinician’s Guide. “Periodontal Disease and Overall Health: A Clinician’s Guide: Current Perspectives” is co-sponsored by Tribune Group GmbH. Tribune Group GmbH is a recognized ADA CERP and AGD PACE provider. At the end of the webinar, after passing the C.E. Quiz, you will be able to download your ADA CERP and AGD PACE C.E. Certificates.